CHARLESTON, SC – Rachel Closser Kube, 80, passed away on Sunday, March 24, 2019 in Charleston, SC. Memorial Services were held on Thursday, March 28, 2019 at the Sea Island Presbyterian Church, in Sea Island, South Carolina. Rachel was born on April 24, 1938 in Sault Ste Marie, Michigan, the daughter of Earl H. and Muriel McGee Closser. When she was three years old, her family moved to Marquette, Michigan, where she attended public schools, graduating from Graveraet High School in 1955. She is survived by her four children: Laura (Jim) Veronie, Mark Kube, Martin (Mina) Kube and Anna (Bernie) Vogel; two grandchildren: Quinten and Haileigh and one brother: Bruce Closser. She is preceded in death by her husband: William J. Kube, MD; and sister: Martha Semenak. Rachel attended Alma College in Alma, Michigan. She later married William J. Kube in 1957. They moved to Kalamazoo Michigan, eventually settling in Gobles Michigan in 1973. 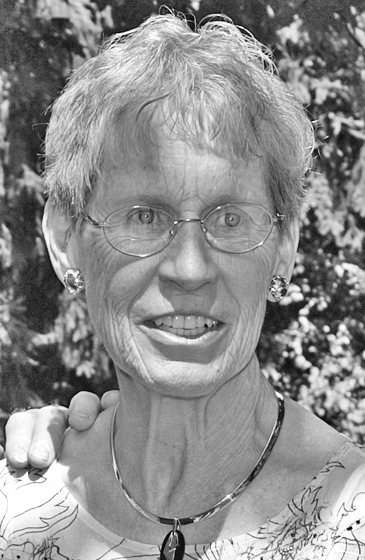 She was a member of the Gobles School Board for 16 years, a member of the Gobles Public Schools Foundation, an America Quarter Horse Association member, and a Gobles Area 4H leader of the Club Calves Group. Rachel was also a member of the P.E.O. Sisterhood, Kalamazoo Medical Academy of Medicine Auxiliary, and the First Presbyterian Church. One of Rachel’s passions was her love of the theatre; volunteering at the Kalamazoo Civic Theatre and starring in several radio theatre productions. She also was an avid horseman, showing quarter horses until 2013 when she moved to Beaufort, SC. The family requests that donations be made to the Gobles Public School Foundation, 409 N. State Street, Gobles, MI 49055.